E. Lucie-Smith, Elisabeth Frink Sculpture Drawings since 1984, London, 1994, p. 188, another cast illustrated. Edward Lucie-Smith (op. cit., p. 43) comments, 'Another source of inspiration were the horses seen in Chinese art. 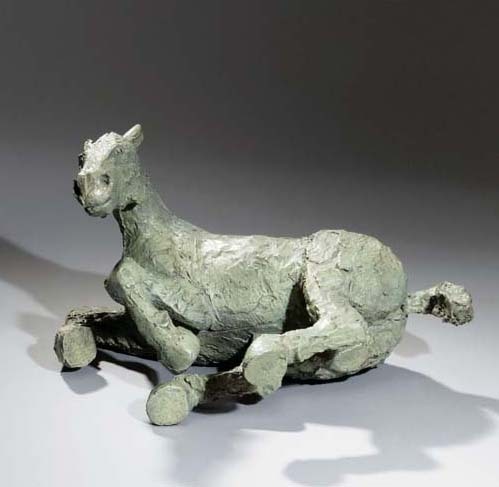 She was interested by the powerful pottery horses often found in T'ang tombs, and had one of these in her own collection. Frink was attracted to the typology in Chinese art, for its freedom of attitude combined with compactness of form. Her horses show a keen enjoyment of their physicality; they are not just the servants of man, but creatures existing in their own right'.